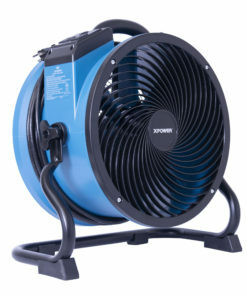 The XPOWER axial fans will benefit every tradesman or even home owner doing repairs. 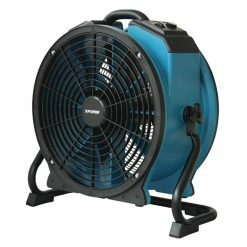 Every industry needs a great well performed industrial fan to ensure proper ventilation for the health of all their employees and customers. 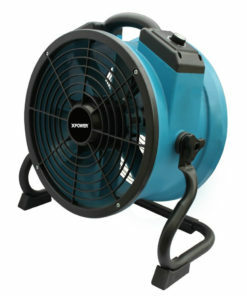 The XPOWER axial fans set new industrial standards. The fans they create produces airflow upto 3600 CFM with very low amp draw. Drying: with a 360° rotational rack, Axial Fans may be adjusted to dry hard-to-reach spots, such as ceilings. 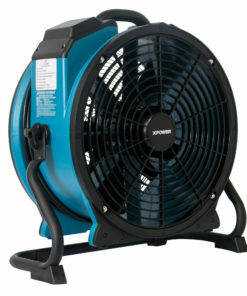 In professional water damage restoration, axial fans are placed in the center of a room (up to 400 sq. ft)and adjusted to point directly downward; the focused airflow is able to travel across the floor and up the walls to the ceiling, effectively drying all surfaces of the saturated space. 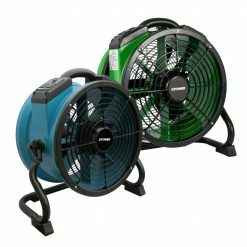 Air Chaser offers a great selection of high velocity fans and blower with up to 3600 CFM ranging from axial fans, drum fans, cooling fans, and shop fans. 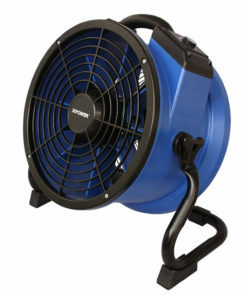 High velocity fans by XPOWER offer top performance and durability. 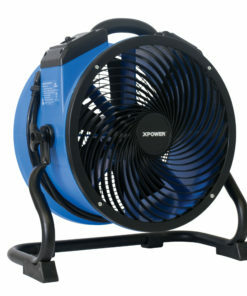 Count on XPOWER high velocity fans for powerhouse speeds and durable you need! High air velocity and huge air volume makes quick drying of painted walls, carpets, spills, etc.